This book explores how deities were used to communicate and negotiate imperial power under the Severan dynasty (AD 193-235). Septimius Severus connected his reign to the divine support of Liber Pater and Hercules, while Caracalla placed a particular emphasis on the gods Apollo, Aesculapius and Sarapis. Elagabalus' reign was characterised by the worship of the Emesene deity Elagabal, which resulted in a renewed emphasis on the cult of Jupiter under Severus Alexander. 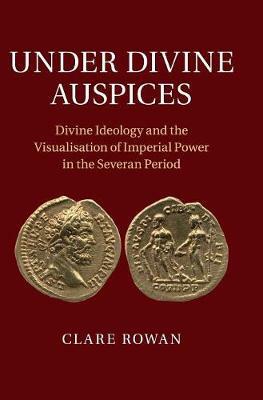 Numismatic evidence is reintegrated into the wider material culture of the Severan period in order to bring new insights into the use of the divine in this period, as well as the role played by the provinces in the formation and reception of this ideology. By taking a dynastic approach, this book demonstrates the dynamic nature of the imperial public image and the complex dialogue that existed between Rome and the wider Empire in this period.